Pope Francis accepted Cardinal Donald Wuerl’s resignation Friday and praised him for his service as bishop and archbishop, despite evidence of complicity in sexual abuse cover-ups in Pennsylvania. Wuerl will retain his Vatican offices and will remain in the archdiocese of Washington as a caretaker until his successor is appointed. Pope Francis accepted Cardinal Donald Wuerl’s resignation Friday amid outcry over his failures to address sexual abuse, but called Wuerl a model bishop. “I am aware that this request rests on two pillars that have marked and continue to mark your ministry: To seek in all things the greater glory of God and to procure the good of the people entrusted to your care. ‘You have sufficient elements to ‘justify’ your actions and distinguish between what it means to cover up crimes or not to deal with problems, and to commit some mistakes. However, your nobility has led you not to choose this way of defense. Of this, I am proud and thank you,” Francis wrote, according to Crux Now. 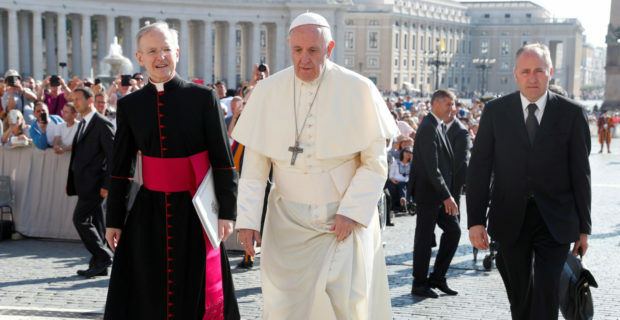 Francis also announced, to the chagrin of sexual abuse survivors and their advocates who have ardently called for Wuerl’s resignation, that the cardinal will stay on as the apostolic administrator, or caretaker, of the archdiocese of Washington until his successor is appointed. 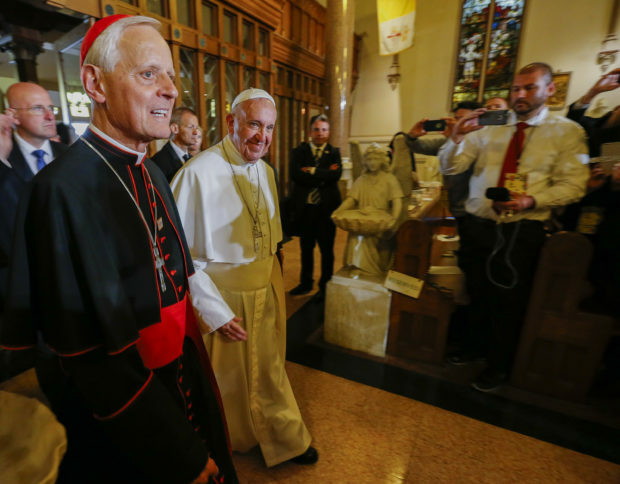 Wuerl also clarified that he will retain his positions within the Vatican and will remain an adviser to Francis on the appointment of bishops. The pope praised Wuerl for not ardently defending himself, despite the fact that Wuerl preemptively issued a statement hours before the release of the Pennsylvania abuse report to try to defend his mishandling of abuse cases and persuade Catholic faithful to look upon him favorably. Wuerl’s defense did not have the intended effect, as prominent D.C. Catholics, abuse survivors, and survivor advocates began demanding his resignation. Pennsylvania’s report revealed that Wuerl not only allowed priests accused of sexually abusing children to be reassigned to different parishes, based on psychologists’ advice, but that he also authorized their settlement and retirement funds and at one point used diocesan money to reduce an accused priest’s sentence in a civil suit. Wuerl’s critics also assert that his claim of being oblivious to the accusations against former cardinal Theodore McCarrick of sexual abuse is dubious, given the fact that McCarrick was sued by two accusers and the fact that some clergy have admitted that McCarrick’s habitual sexual misconduct with seminarians was widely known. Wuerl’s tenure as archbishop of DC was marked by his efforts to work with different presidential administrations and his adherence to church protocol, until the release of Pennsylvania’s grand jury report and the McCarrick scandal. Wuerl praised the pope’s letter, and clarified that Francis would choose a new archbishop for Washington who began serving in ministry after the church adopted guidelines in 2002 to better address and prevent sexual abuse.